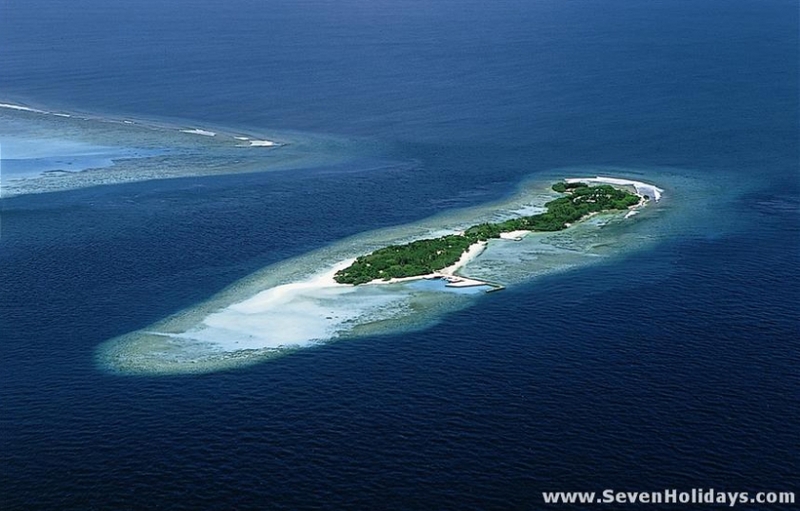 Helengeli has long been one of the country’s traditional dive islands. After a series of upgrades, it is now very much more than that. 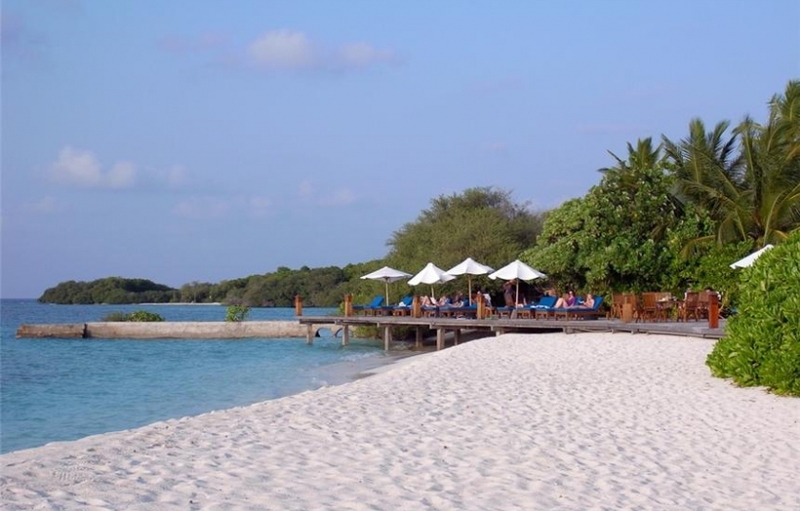 It is a resort to please the many different people who enjoy the original barefoot Maldives look and feel but require some style and modernity too. Comfortable, handsome and conspicuously well managed, it is great for anyone looking for a peaceful holiday , including singles and couples with children . The majority presently are Swiss German (with Manta Reisen), Germans and French (with Kuoni). If partying and beaches aren’t your priorities, this is unmatched value for money. A resort with so many divers is never going to be a late night drinking and dancing place. Indeed, there is no organised evening entertainment at all here (except for a divers’ night). Having said that, it isn’t by any means dead in the evenings and some nights do take off. But essentially this is an ultra quiet island. With guests out during the day diving or on an excursion, this is a place to potter around, swim, snorkel , kick back and truly relax. A Duniya Spa is there to help the process along. The rocky end of the island that faces the open ocean is closed to guests, and currents in the channels on both sides work against long, broad beaches. However, one side of the island (the southwest side) is decidedly better than the other (and of course has the sunset). 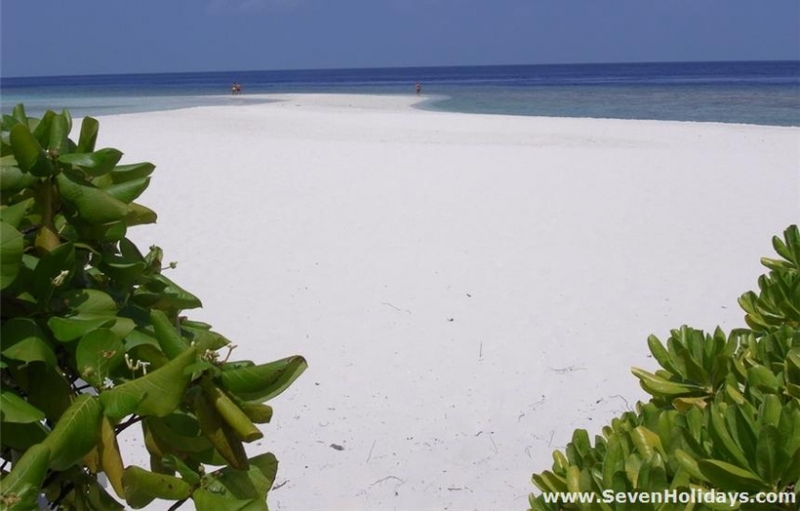 A permanent sand bar at the southern tip is never more than a short stroll away. Never augmented withpumped sand, the beaches, in terms of quality, are as good as they get. Furthermore, with little in the way of groynes and walls and with a proper concern for the natural environment, the setting is always pleasing to the eye. 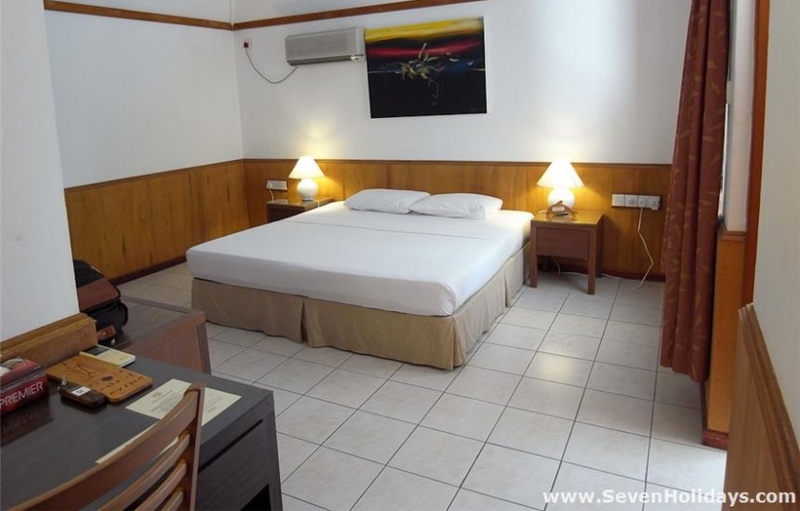 The rooms are small and simple but they are clean and tidy and just fine for those who aren’t looking for the trappings of luxurious interiors. 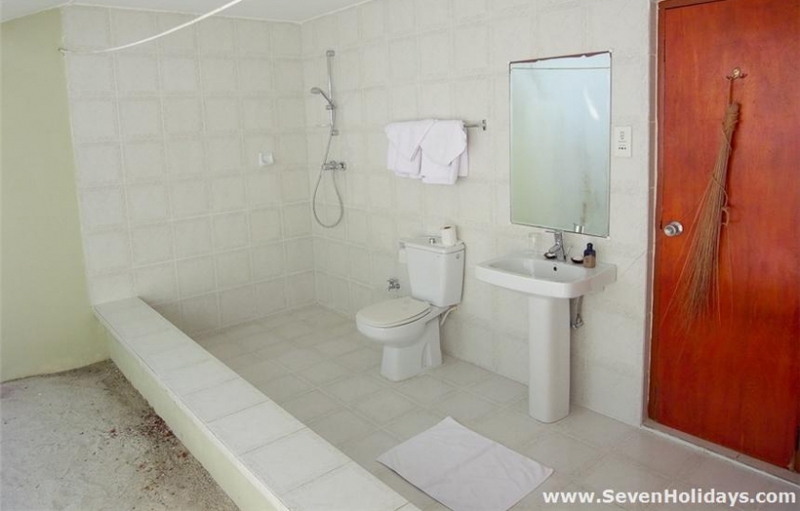 The tiled floors are functional not beautiful but then these rooms aren’t for spending a lot of time in. There is no phone, television or internet. 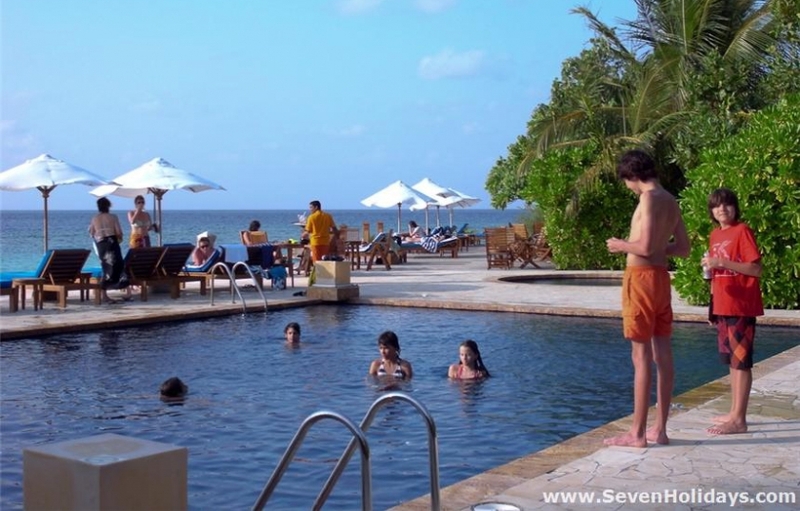 The public area, on the other hand, is smart and delightful and really gives the resort an attractive central focus. The reception is little more than a desk on the sand, with a thatched roof above. The swimming pool between it and the bar is good for laps or playing and is surrounded by a wide deck that looks out to sea. 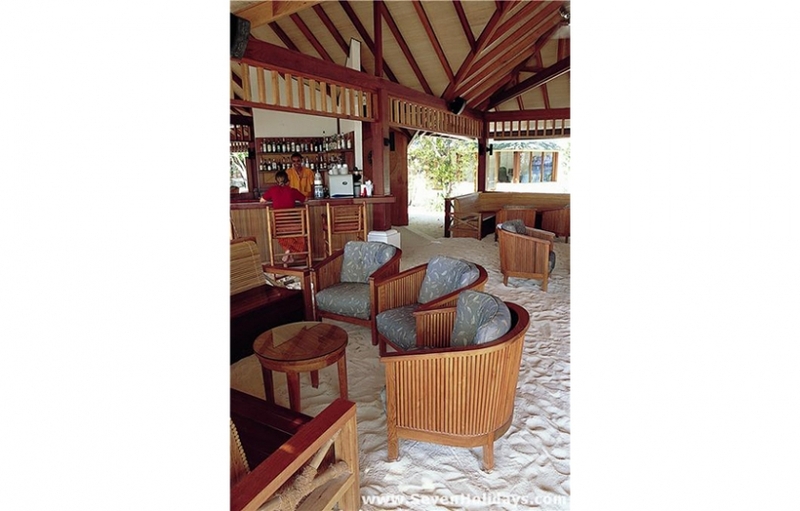 The bar is open on all sides, has deep-cushioned low seating on the sandy floor and is an all-round pleasant place to meet, drink and chat. Flowing on from there is the restaurant. 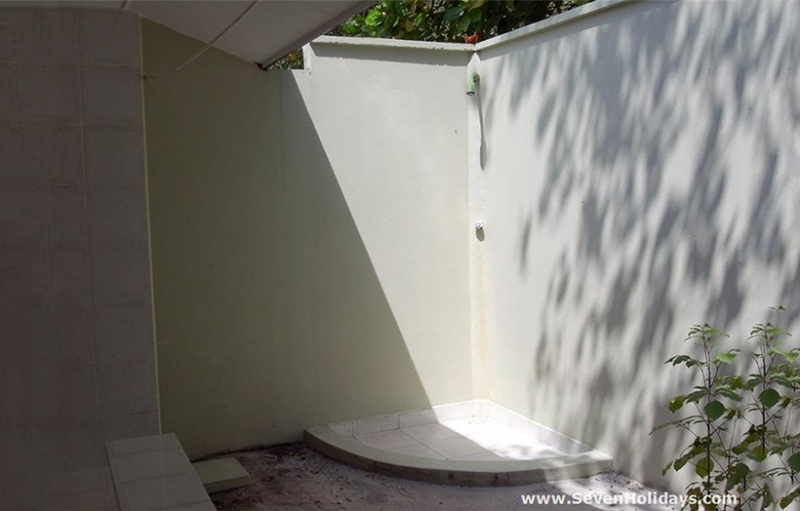 Built in the same style, it has open sides, sand on the floor and a light colour scheme. All 3 meals are buffets. The fare is not haute cuisine and the buffets are not very large but they are varied and well cooked. Vegetarians are looked after well and the kitchen is overseen by the head chef of the great Mirihi, which has to be good news. The whole of the public area is covered by an internet hotspot, which is reasonably priced. There is a good children’s pool, and although there is no baby-sitting is available, the attitude of the staff to children is excellent. 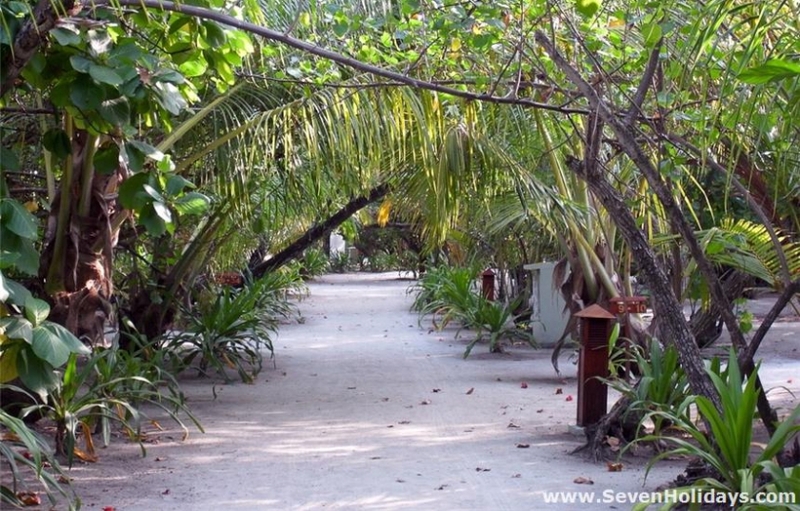 Having said that, the island is best for children who can entertain themselves and find pleasure and fun in nature. 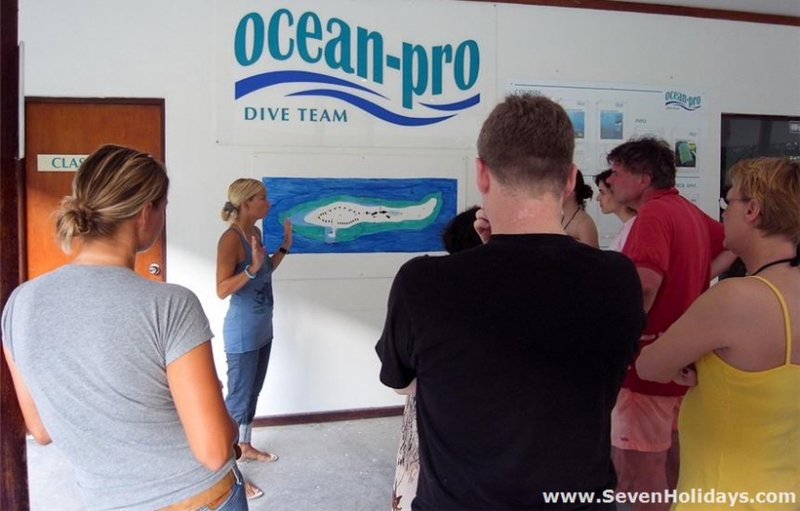 As to the diving, I hardly need to talk about it as the dedicated clientele are fully briefed on the options from past experience and from Ocean-pro’s website. 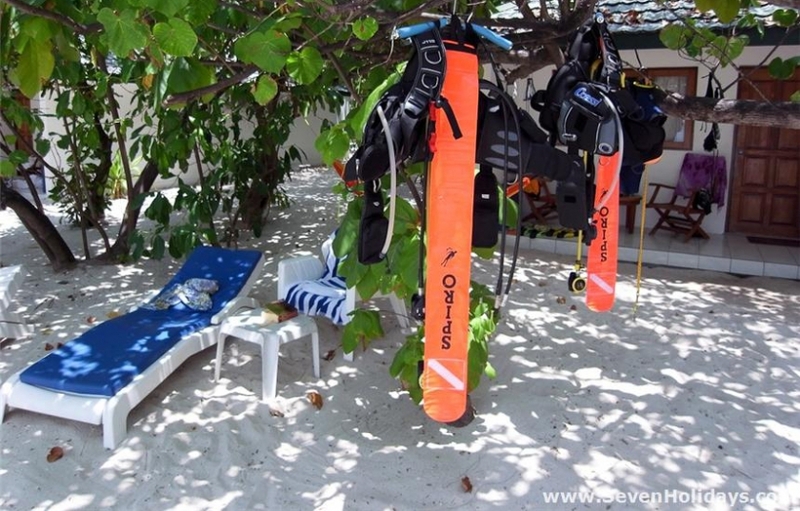 This is a resort where the divers know their stuff. Learners are willingly accommodated but most of the divers are experienced to very experienced. All alone in the northeast corner of North Male Atoll, Helengeli has the luxury of a whole raft of fine dive sites almost to itself. As the saying goes, there are no bubble dives. Fish life in the region is extremely rich, from myriad schools of small reef fish to turtles, sharks, barracuda and tuna and, in season, mantas and whale sharks. 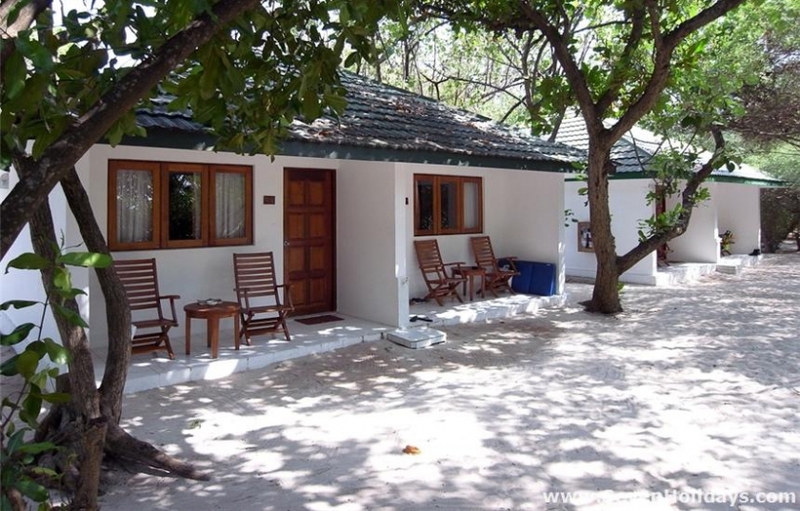 One of the finest thilas anywhere is just 6 minutes from the island, called, unsurprisingly, Helengeli Thila. The housereef itself is good for diving and 6 entry points and a tank service from the dive centre make this a very popular option. Black tip reef sharks, rays, groupers and octopuses are a few of the highlights during the day. At night, the lobster cave comes alive. The housereef is close to shore all around the island, so snorkeling is easy and rewarding in terms of fish. Sadly the coralgrowth is still disappointing. 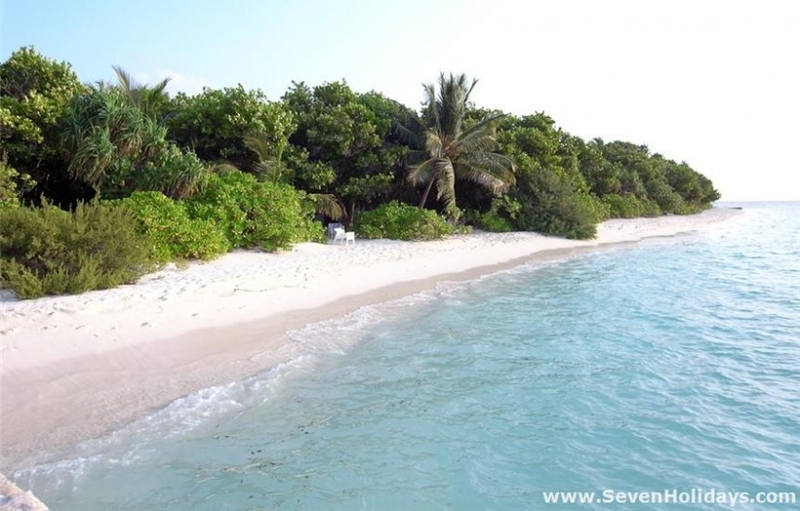 Daily snorkel trips away from the resort include a full day snorkeling with mantas on Boduhithi Thila and a snorkeling and barbecue trip to the famous uninhabited island Kagi at the very tip of the atoll. The new, improved Helengeli is a gem.